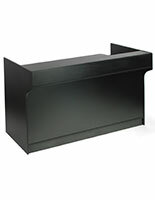 This retail sales register counter offers six feet of employee-facing work space as well as 4 extra inches of height and a check-writing ledge for easy customer use. 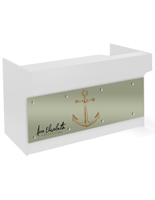 The 72" wide fixture is made from durable maple finish melamine laminate. 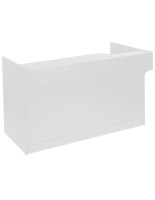 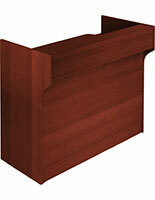 Each 42" tall sales register counter features an 8" wide ledgetop for check writing or transactions. 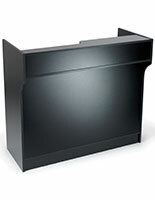 The countertop cutout and recessed workspace offer employees room for point of sale equipment and merchandise handling as well as payment processing. 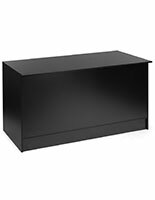 Each sturdy 6-foot wide register counter also contains rear storage, including a slide-out drawer and adjustable height shelving. 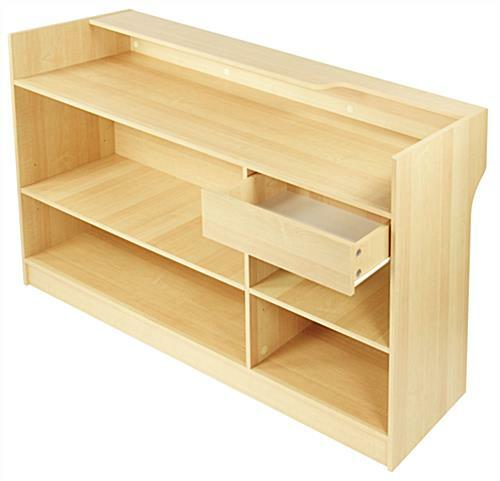 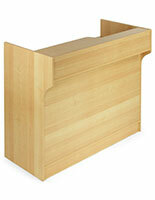 The versatile store register counter's light natural finish and simple design will complement any environment. 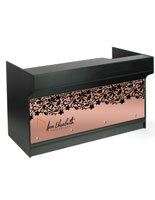 This elegant fixture can be used as a checkout, customer serivce, or information kiosk as needed. 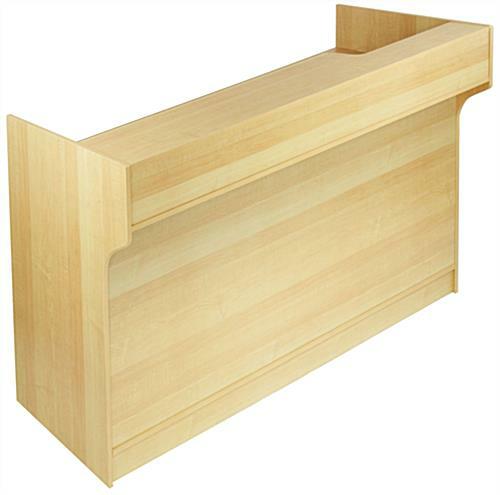 This commercial grade checkout counter in maple laminate is designed for use alone or in conjunction with additional fixtures as a cashwrap or customer service island.